Some role changes in life are dramatic, expected, and planned for. 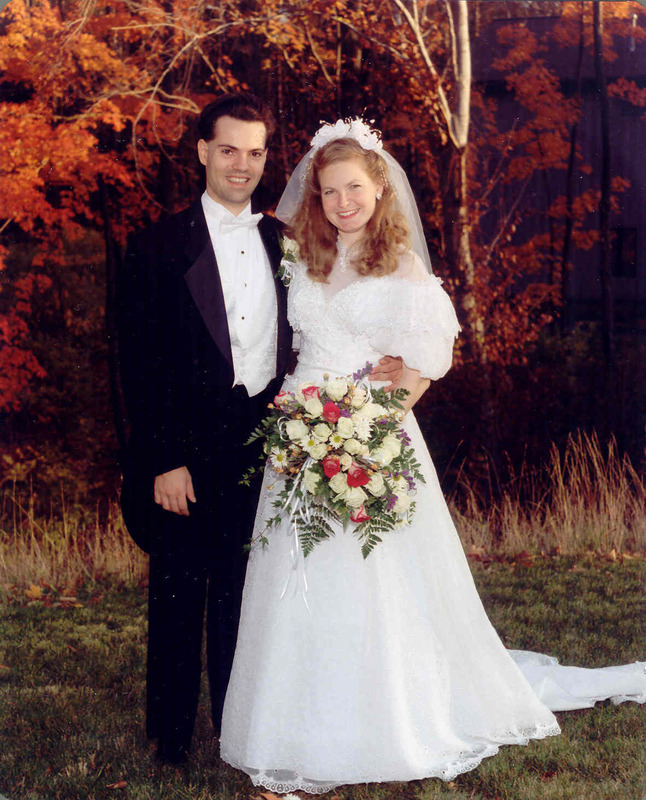 Many people work an entire year on a wedding – and hopefully even longer getting to know themselves and/or their partner – before actually claiming the title of “spouse.” People get 9 months – or longer, if adoption is involved – before becoming parents. Those are the Big Changes. But most times in my life, I move from one stage to another without even realizing it’s happened except in retrospect. We finally got the opportunity to see the new Disney/Pixar movie “Brave” today. Being a big Disney fan, I’d been reading online critiques enough to make me curious but not enough to spoil the plot. “Finally, a strong female lead character” read one review “but a disappointing, one-sided stereotypical mother role and a missed opportunity to more deeply explore the oft contentious mother-daughter bond” said another. Despite the fact that I don’t watch TV, I’d seen the promotional posters and even read an entire article in Wired magazine about how Princess Merida’s (MARE-da) wild red locks were animated. I’d seen various friends’ 140 character reactions, which were, without exception, positive. So I had a few expectations going in: I expected to be entertained, I expected to like the movie, I expected to cry (when do I *not* cry at a Disney movie? ), I expected to dislike the mother character, and I expected to identify with and root for the red-headed princess. What I did NOT expect was to look into a giant, movie-screened size mirror and see the villain wearing my face. The movie started innocently enough – on Princess Merida’s birthday. She was a young child, obviously rambunctious, and was hiding from her mother, Queen Elinor, who just as obviously knew right where she was but made a game of searching. When Elinor caught Merida in a bear hug, Elinor pretended to eat her daughter up like a tasty dessert and the giggles of the animated child on the screen were mirrored by giggles in the seats next to me and brought back happy memories of my own wee one’s babyhood not-so-long past, yet seemingly so far away. She was FUN, this queen and mother, and playfully enjoying her daughter. Dad was doltish but loving, handing the young child a kid-sized bow and teaching her how to shoot arrows. Elinor looked worried for her daughter’s safety, but my oldest and I shared a wink and a nod since I am a certified archery instructor and my fresh new TEENAGER of less than two weeks (um….when did THAT happen!?) asked for and got her own archery set this past Christmas. But onscreen as in life, things quickly changed. Merida grew up and the queen started teaching her things – important things – like manners and poise and history. Queen Elinor proved herself to be a classy, poised, educated, and firm woman. She took her duty as a mom and teacher seriously and *gulp* I really liked her. She had rules, as all good parents do. And she was consistent with them, as all good parents must be. And Merida…well…with typical teen-aged swagger, she was sure she knew better. But this is Disney. And I’m supposed to identify with the PRINCESS. This is NOT how the story is supposed to go! The story progressed and there was mother-daughter conflict. There was yelling and anger, actions that couldn’t be undone and words that couldn’t be unsaid – all unsettlingly true to life. Then there was a big change in the plot, which in case you are reading and still haven’t seen the movie, I will NOT reveal. But the smart, poised queen ended up…out of her element, shall we say. I’d better stop here to confess that the more I identified with Queen Elinor, the more I expected to map the princess to my oldest, who has long, wild, unruly (but non-red) hair and a fervent love of both horses and archery. It was clear this was to be a growing up story, and of COURSE this princess would remind me of my own new teenager, right? Except all of a sudden, as the queen was learning new life skills from her daughter, I realized that this wasn’t a movie about me and my oldest, but me and my very non-traditional, goes-against-the-grain youngest. And I realized that as much as we clash, she has things to teach me. Later in the movie, more becomes clear. It’s clear that the lessons Elinor was teaching to Merida were valuable to Merida after all, not a waste as Merida thought. And it’s equally clear that Merida HAD learned those lessons, well, even as it looked like they weren’t sticking. Elinor was proud of her daughter and loved her, despite the frustrations – and it was a mutual feeling. And in the end, as ALWAYS happens, the child changed the parent as much as the parent changed the child. At least, thank GOD and Walt Disney, it was a happy ending. Last school year I focused on preparing myself to be a better parent to a budding teenager. I am so thankful that, for now, our relationship is solid and she is going in the right direction for her (also a direction with which I can live). But this upcoming school year will, I think, be one of focus on how I can be a better parent to the child who is simultaneously most like and most unlike me. It won’t be easy, but I have confidence that there is a happy ending in our future. Because, as the movie reminds us at the very end, our destiny is something we CAN change, if we are BRAVE. There are lots of lofty, intellectual topics on which to post today, but I’m not addressing any of them. 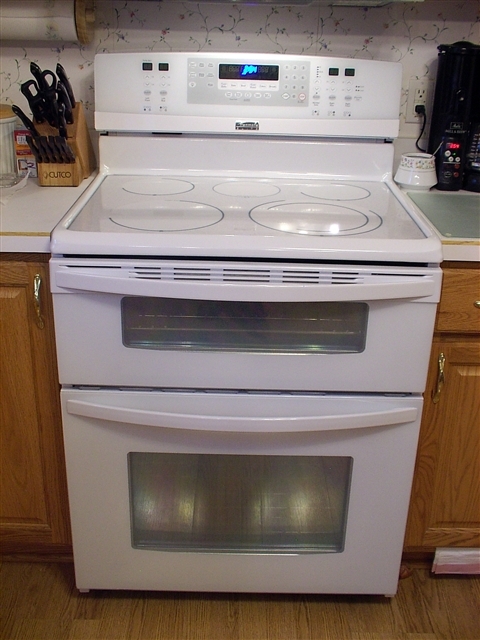 Instead, I want to talk about my appliances (HOUSEHOLD appliances, before you get too excited out there!). We got a new range and fridge last week. Yea! They both replaced 26 year old appliances, one of which (the oven) had stopped operating correctly years ago. I finally got tired of food being half raw and burned on the bottom. It was WELL past time to upgrade. Let me say that I love – LOVE! – my side-by-side fridge/freezer WITH ICE AND WATER IN THE DOOR! (Yes, I am easy to please!). I was worried about space, but it is about 40% larger than our old unit. Who knew? And the new self-cleaning ceramic topped range with DOUBLE OVEN, delayed start, true convection, hidden electric element, and turbo boil burner makes me drool. I am in love with both of them! Is it just because those appliances are new? Nope – here’s an older one I love: our coffee maker that grinds the beans just before brewing, which can be pre-programmed with a built-in timer. (You can barely see it up there to the right of the range). I don’t even drink coffee, but I can “make” John’s coffee just in time for him to walk out the door in the morning with a completely fresh cup without ME having to wake up at the crack of the middle of the night when he gets up. That appliance is almost 2 years old and I still love it. My laptop is also two years old, and I still love it, too. Many of you may not consider a laptop a home appliance, but mine is stationed in the kitchen and gets as much, if not more use, than any appliance in my house except maybe the fridge! So to me, my laptop is DEFINITELY an appliance and one I love dearly. But my dishwasher is about 5 and a half years old, and I am pretty indifferent to it. Yea, it gets the job done. And when it broke a few weeks back, I missed it sorely until it was fixed. But it is starting to show signs of wear on the racks and I really don’t think it’s worth $200 to replace those racks yet! The clothes dryer is about 7 years old, I think. And the washing machine was new when we bought the house, so it’s 12 years old. I’m pretty indifferent to them, too. But it can’t be ALL about age. My trusty Honda Odyssey is 7 years old and I still love it! Of course, it helps that it got all new interior throw rugs this summer AND a portable GPS unit last Christmas. Maybe it feels new again and that’s why I love it still? So how about you? 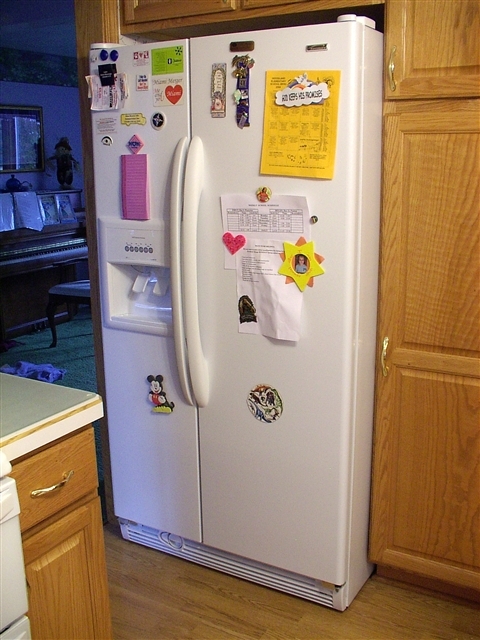 What is your favorite household appliance and why – and how old is it?! CNN reported last week that the first people who registered their phone numbers on the national “Do Not Call” list will need to re-register in the summer of 2006 to keep their names off the list. This is due to a five-year expiration on requests established when the program started. There is a legislative effort to make registration permanent and re-registration unnecessary, but until those efforts wind their way through the system, you might want to go to www.donotcall.gov to verify the status of your phone number. It literally takes 30 seconds to enter a phone number and an email, and maybe another minute or two for the information to get to you via email.